Louis Doyle Norton (1868-1940) grew up in Providence, R.I., and after studying art in Paris at the Academie Julian, returned there and set up his first studio. In 1906, Norton came to Kennebunkport and became enchanted with the area. Two years later he built a home and studio at Turbat’s Creek for his mother and himself. Norton painted in oils and watercolors but came to prefer pastels. There are more than 250 Norton paintings extant in southern Maine, many are of local scenes. He also painted several murals for homes and public buildings in Kennebunkport. In 2003, the Norton studio was in severe decay and was salvaged and moved to the campus of the Society. 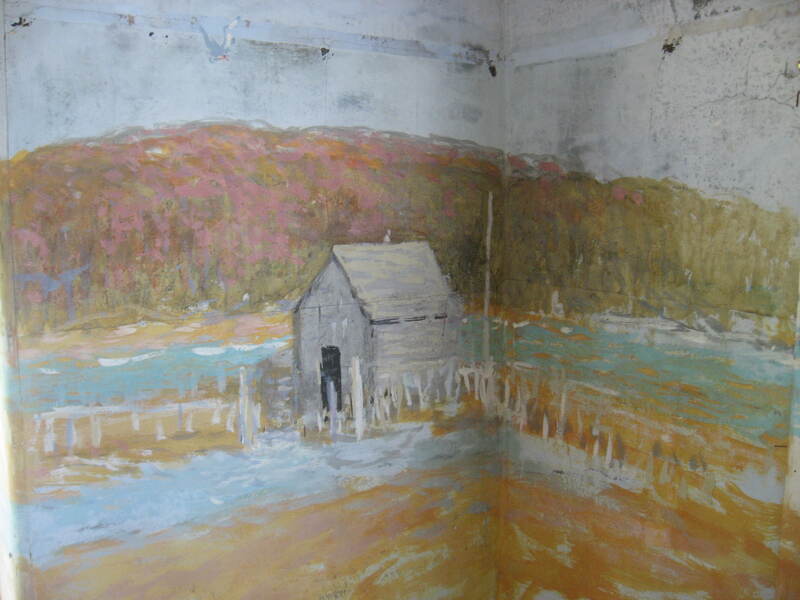 The interior walls are painted with scenes of what Norton saw from his studio windows.